Transport two bags as one with Briggs & Riley SmartLink™ system. The strap remains tethered to your bag so you'll never misplace again! Easily transport multiple bags at once with the Briggs & Riley SmartLink™ system. 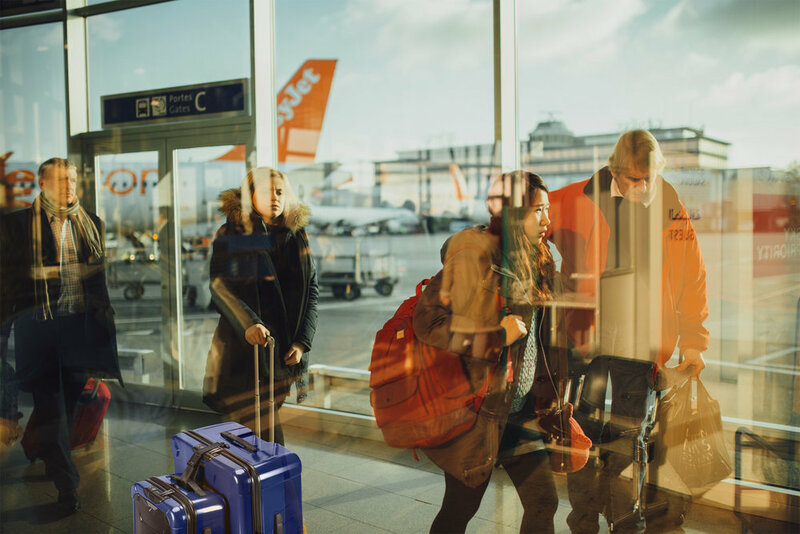 Whether you are setting up for a trade show, or traveling with a large family, SmartLink™ system will combine your bags for easy transport through the airport, hotel lobbies, and tradeshow locations. SmartLink™ system is built in to the Briggs & Riley Baseline luggage. Simply reveal the SmartLink™ strap from its pocket on top of your bag, then loop the T bar to the top of the suitcase. Next, loop the strap of through the handle of a second bag and buckle the SmartLink™ strap. Violà! Now you can transport two bags at once, easy peasy. When you are not using your SmartLink™ strap, you should store the strap back in its own zippered compartment. The SmartLink™ strap is tethered inside of the pocket, so you will never lose or misplace your strap ever. SmartLink™ Strap System is built into the Baseline Luggage, Torq Luggage and BRX Luggage.